For 24-HOUR electrical service or FREE wiring installation estimate. Why choose Air Control for your electrical installation and repair needs? Experienced Journeyman Electricians on staff. Thermal Safety Inspection included on most service calls. 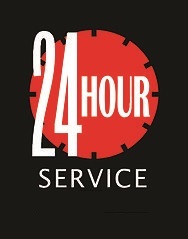 SAME DAY SERVICE AVAILABLE MOST DAYS! Most parts in-stock on our vans. Thousands of repair and installation projects completed in the Spokane areas. 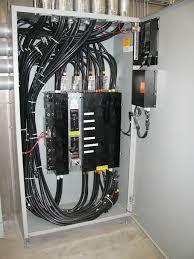 We also handle commercial business electrical needs. 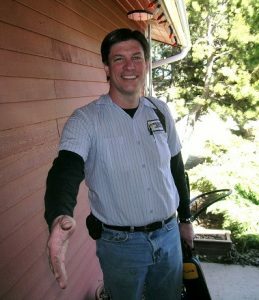 We understand that sometimes you may be in need of an emergency electrician in Spokane. Air Control has electricians available 24 hours a day to help service your electrical needs. Power out in your home? Call Air Control’s electrical contractors today to get power restored quickly. We offer the best electrical contractor services for homes and businesses in Spokane, Spokane Valley, and vicinity since 1986! We perform turn-key electrical contractor services, general wiring retrofits, fuse panel replacements, breaker panel upgrades, general wiring and installation projects throughout our 60-mile radius service area centered in Spokane, WA. We often combine electrical and mechanical work into one package for single-source turn-key responsibility. That is much easier for you, our customer. We provide residential and commercial electrical services. Does your old electrical panel look like this? Maybe it is time to call Air Control Heating and Electric, Inc for a free no-obligation quote. 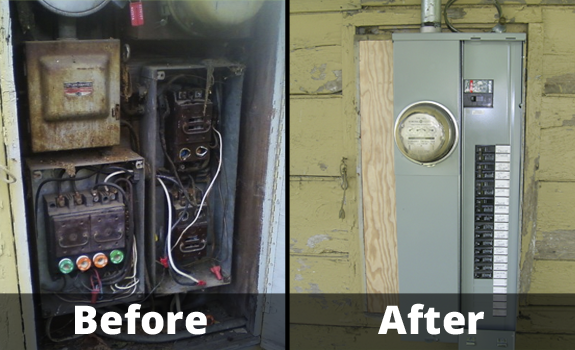 Get rid of that old electrical service panel, and upgrade to a new safer breaker electric panel. There are many reasons to upgrade your electrical panel such as installation of a new 200 amp service or to replace a glass fuse system. Whatever the reason, Air Control has the experience, knowledge, and license to safely upgrade your electrical service panel. 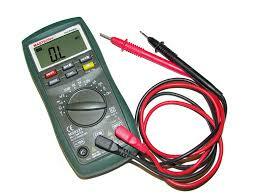 Electrical repair troubleshooting can be dangerous if you are not familiar with electricity and it’s properties. 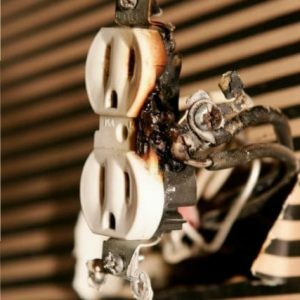 If you have a breaker that keeps tripping, or a set of outlets that are not working anymore, then you need to call an electrical contractor such as Air Control Heating and Electric, Inc. to troubleshoot the problem safely. We can find and fix the short circuit that perhaps is causing your electrical outlet to stop working. We can find the electrical short in your house and have your family feeling safe again. Call today to schedule an appointment. Aluminum rewiring and knob-and-tube rewiring jobs for home remodeling projects is our number one service requested. During the 1960’s to mid-1970’s aluminum wiring was used as a cheaper alternative to rising copper prices. Aluminum can become less effective as a good conductor when neglected connections are not serviced. 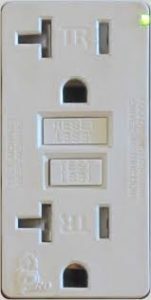 These connections can be outlets, switches or lights that may become increasingly dangerous to use over time. These connections can overheat and become a risk for fire hazard. Get your free no-obligation estimate today for your aluminum rewire or knob-and-tube remodel estimate. Have an Air Control electrician properly and safely rewire your home. GFCI outlets and AFCI outlets are important as they are the electrical devices that detect the current flowing along your homes electrical path on that circuit. If it detects that current is flowing down an unintended path it will interrupt the circuit causing it to be no longer active at the receptacles. If you have multiple outlets in your home that do not work and they are GFCI or AFCI fault circuit interrupters, you will need to hire an electrician in Spokane to test and replace your bad electrical outlet. 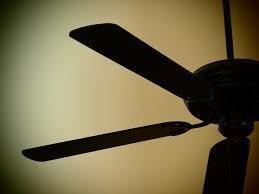 Ceiling fans, switches, three way switches, exhaust fans, attic fans and more, are just a few of the electrical fixture installations that we perform. Most Spokane residents depend on Air Control’s licensed electricians to safely install their fan, install a new exhaust fan, or simply replace that old attic fan. Old fixtures can become a safety hazard to you and your family if they are not replaced when they are past their average expected lifespan. Some fixtures such as exhaust fans, attic fans, and other units that utilize a motor can lead to excess energy consumption. Energy use can be reduced if they are replaced when faulty or added if never previously installed. Call today for a free quote on replacing your old electrical fixtures and fans, or any other electrical repair needs you may have. We install generators and automatic transfer switches in Spokane, Spokane Valley and vicinity. Backup and standby generators rely on automatic transfer switches to control the flow of electricity to critical loads in your home during outages. We can help create a safe and reliable power switch connection to your home’s main power panel, ensuring your key power demands are met when they are needed during outages. Our professional electricians are able to safely plan your generator installation, and execute your project in a safe manner. Call us today for a free estimate. Electricity needed for jacuzzis, pools, hot tubs, and others can be safely installed and the potential dangers that can be involved in wiring these devices eliminated by hiring a professional electrical contractor in Spokane or Spokane Valley. 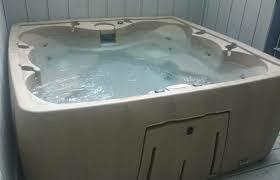 Air Control offers 240v service installation for hot tub and other accessories. We follow the proper NEC installation requirements to ensure that your family is protected while enjoying your outdoor spa. Make sure your family stays safe, and give Air Control Heating and Electric, Inc. a call today at either our Spokane or Spokane Valley office locations and a representative can help you get your free electrical installation quote. Knob and tube wiring is obsolete and potentially dangerous. Many homeowners are replacing this outdated system with modern electrical wiring upgrades for safety and convenience. When we replace your knob and tube system, we can run additional electrical outlets anywhere you like for your convenience. Its that easy. 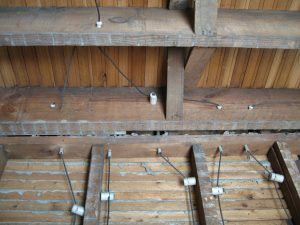 A lot of times older houses with knob and tube wiring simply did not have enough outlets. For electrician services or a Free wiring installation Estimate, Call (509) 924-0018 today! Air Control Heating and Electric, Inc. is a fully licensed General Electrical Contractor serving Spokane and Spokane Valley, Washington.